PRT 1094 and 10124 are 100% continuous-filament, double-knit polyester wipers with excellent cleaning function and high soft touchness. 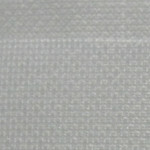 It's unique double-knit construction is strong, tear and abrasion resistant. Feels like silk and works like cotton.